AIRS presentations at the Society for Brain, Behavior and Cognitive Science (CSBBCS). University of Ottawa June 24-27. UPDATE ON AIRS DIGITAL LIBRARY: AIRS Members are now browsing, searching, and uploading AIRS research from the past 7 years. Check out this link to the Digital Library Index page on the AIRS Home Page. Students who wish to upload research material to the AIRS Digital Library need to contact AIRS Administration to obtain rights to do so. Current AIRS members already have such rights. Please see the DL Index Page for links to helpful video tutorials about ingesting to and searching material in the Digital Library. Rachel Heydon and Susan O’Neill have signed a book contract with Sense Publishers (fastest growing publisher of books in Educational Research) for their completed manuscript (now in production) entitled: Why multimodal literacy matters: (Re)Conceptualizing literacy and wellbeing through a singing-infused multimodal, intergenerational curriculum: Intergenerational curriculum. An extraordinary achievement associated with AIRS Sub-theme 3.2 Singing and Intergenerational Understanding. Read more about June 2016 - News! Two AIRS Symposia have been accepted for presentation at the International Conference on Music Perception and Cognition (ICMPC14) which will take place in July 2016, in San Francisco. 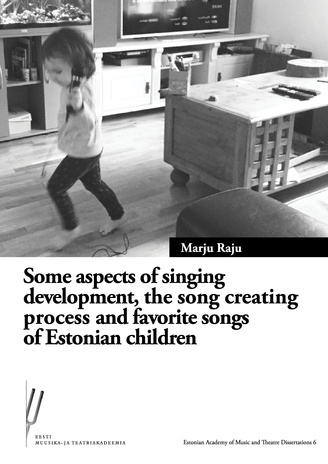 Symposium 1 is on Singing and Development. Symposium 2 is on The Benefits of Choral Singing. An AIRS Symposium and an AIRS Workshop have been accepted for presentation at the Biennial Conference of the International Society of Music Education (ISME) which will take place later in the month of July 2016, in Glasgow. The Symposia is on Cross-Cultural Understanding through Singing in Schools and the Workshop is on the AIRS Test Battery of Singing Skills. Stay tuned for more information about these events and more! Laura Cirelli has been awarded a SSHRC Postdoctoral Fellowship to work with Sandra Trehub (AIRS 1.2 Sub-theme leader , Multimodal aspects of Singing Development) at the University of Toronto. They will be investigating mother-infant vocal interactions. Laura has been conducting her doctoral research on rhythmic synchronization and musical entrainment from a developmental perspective under the supervision of AIRS member Laurel Trainor, Director of the McMaster Institute of Music and Mind. Congratulations Laura, Sandra, and Laurel! Catherine Stevens, of the AIRS Advisory Board and MARCS Institute of the University of Western Sydney has accepted the position of next Editor-in-Chief of the journal Music Perception, following the dedicated service in this role by Lola Cuddy for over a decade. Kate will begin to receive manuscripts in 2017. Congratulations Kate! Read more about May 2016 - News! World Voice Day Saturday April 16th, 2016. Johan Sundberg, a member of AIRS, encourages members of AIRS to organize and participate in events highlighting the voice on World Voice Day. Please submit your event to the website and represent AIRS in this global initiative. Last year Frank Russo had a public concert of one of his research choirs. This sets a great precedent. Its an opportunity to tell the community about your work and put your vocal research or performance on the map - literally, (check out the web-site) . Timing of your event can be around April 16th, just as long as World Voice Day is acknowledged. Read more about April 2016 - News!